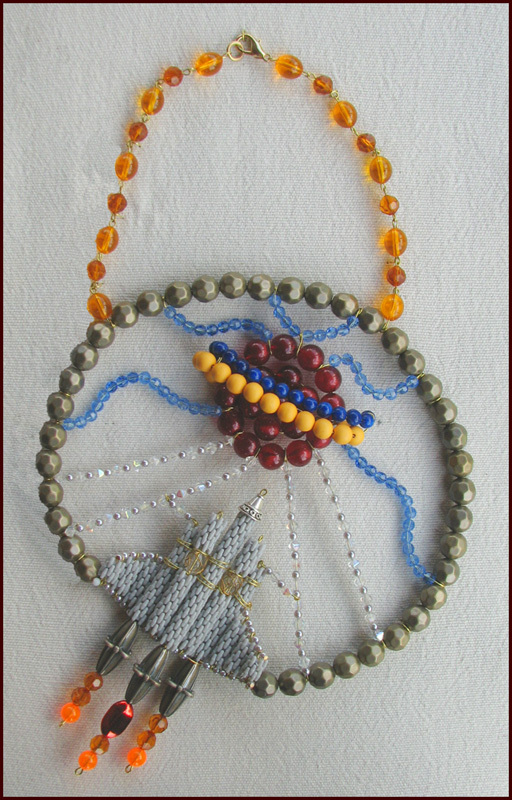 Click on photos for enlargements, availability and price on request. 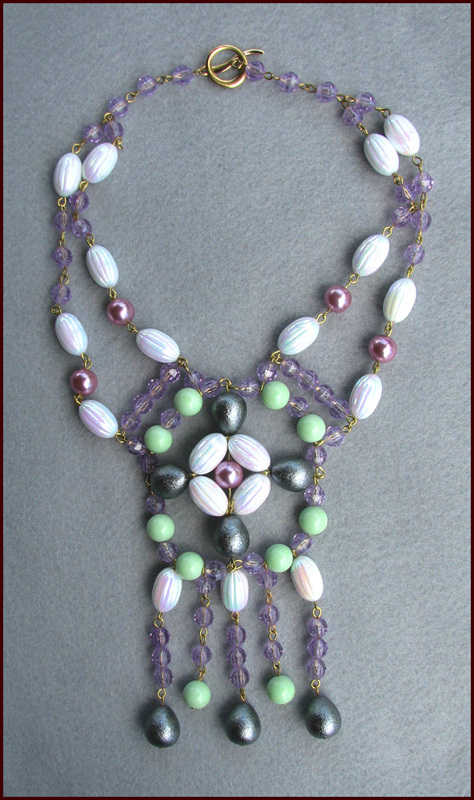 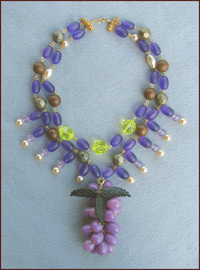 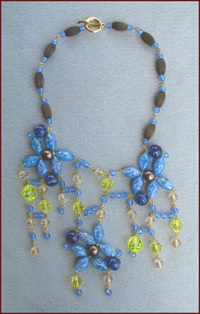 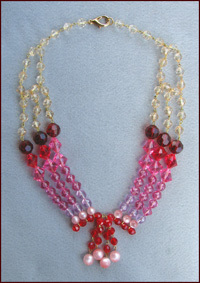 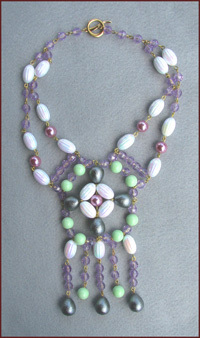 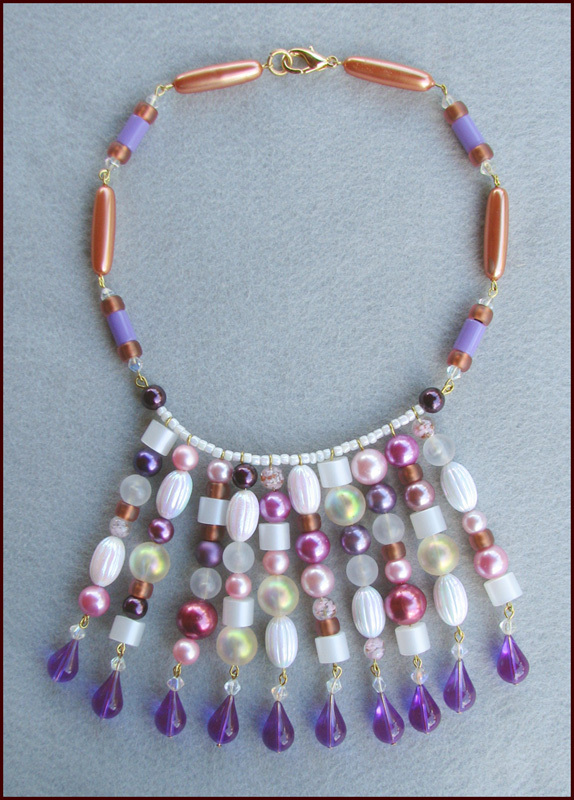 Boffo Bead necklaces are constructed of vintage plastic beads, faux pearls, and crystals. 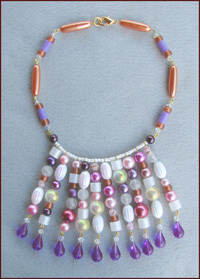 Each bead is individually wired onto the next, requiring many hours of hand work. 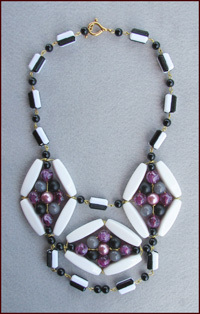 A significant amount of “engineering” goes into the designs, to ensure that they fit well, and comfortably, around the neck. 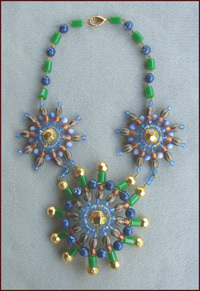 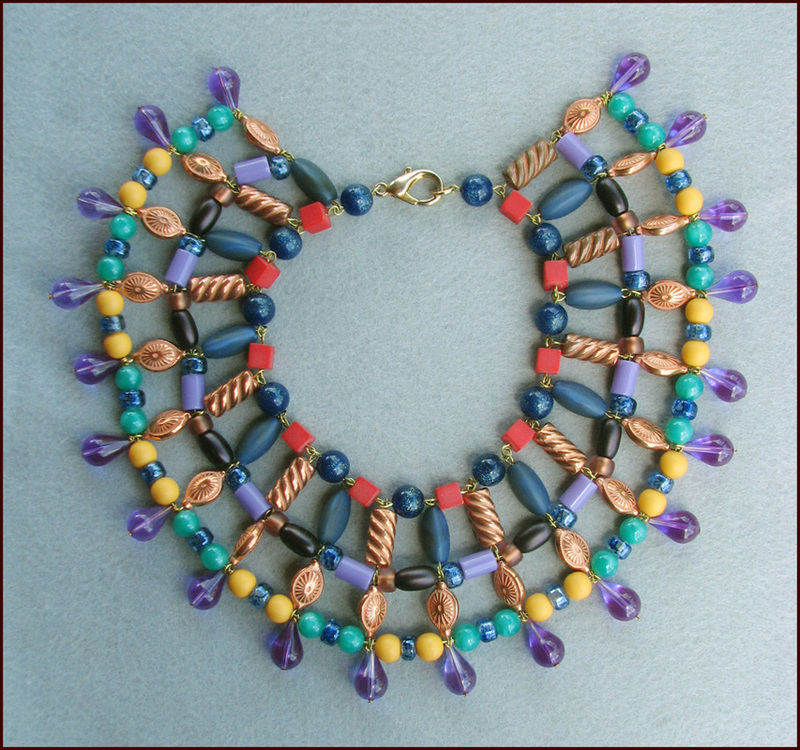 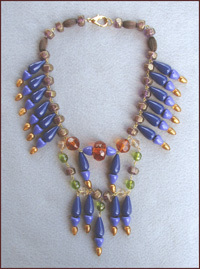 Boffo Beads are fanciful, with much thought given to color and proportion. 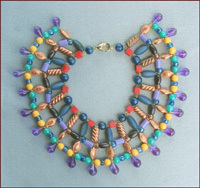 Each finished necklace creates a bold fashion statement! 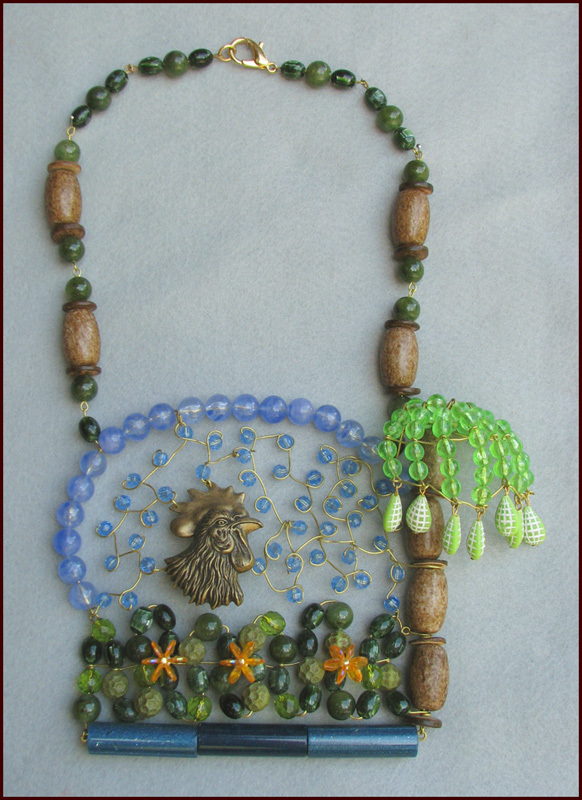 Entire site copyright ©2006-2015 Lucky Duck Designs. All rights reserved.